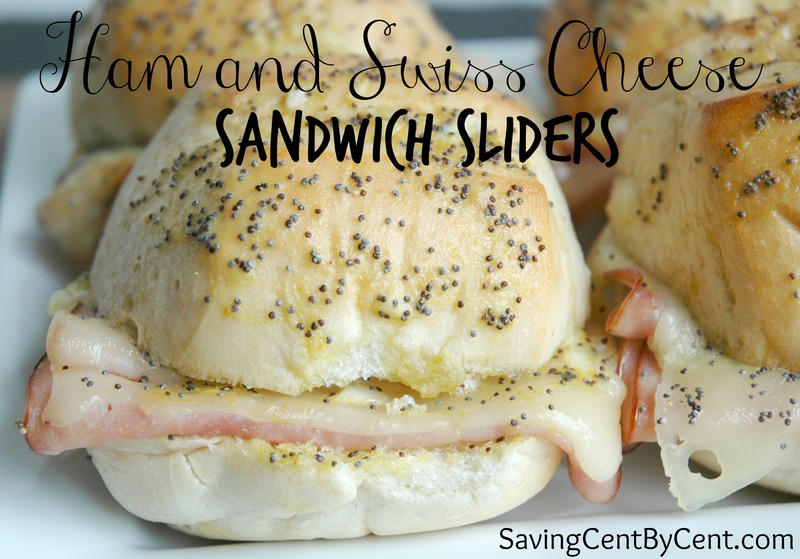 I had these Ham and Swiss Cheese Sandwich Sliders at a luncheon last year, and I loved them so much! I kept going back to the food table, along with many others, to grab a few more. Let’s just say that I kept eating these until I was stuffed. Since I loved them so much, I knew I had to try making them for my family. It turned out that they were simple to make. This is a quick and easy meal idea for dinner and definitely one I’ll be making again. In a small bowl, mix together the the melted butter, minced onion, poppy seeds, mustard, and Worcestershire sauce. Spread a small amount of sauce on the inside bottom and top of each roll. Place a slice of ham and a slice of Swiss cheese inside each roll, and put the rolls close together on a large cookie sheet. Brush more sauce on the top of each roll. Cover with foil and bake at 350 degrees for 15 minutes.